the Smart Oven Pro With Element IQ is an essential tool for the cook who desires a countertop oven that bakes the perfect pizza, delicious cookies, toasts evenly and roasts succulent meat. 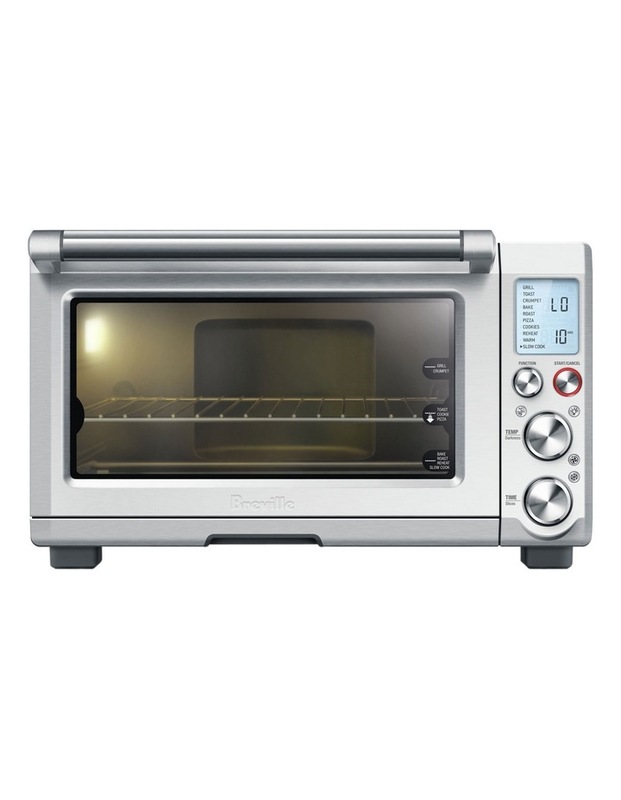 The convection setting reduces cooking time by up to 30%. 3. With Element IQ 5 Independent quartz heating elements move the power where it's needed most, above and below the food. Each element adjusts automatically for the setting you choose, to deliver the right cooking temperature at the right time ensuring the precise cooking process for the meal you are creating. Pre-set cooking functions include Toast , Crumpet, Bake, Roast, Grill, Pizza, Cookies, Reheat, Warm and Slow Cook."